With classic styling and wrap around verandas, this villa has been designed for relaxing country weekends. The generous open plan living area covers the entire east end of the house. The rooms are generously proportioned with high ceilings, plenty of windows and numerous sets of French doors opening on to the verandah. Perfectly positioned to make the most of the sun, the house is cool in summer and warm in winter. The axial hallway opens up to a substantial open plan kitchen, dining and living area, which covers the entire east end of the house. The kitchen is well equipped with gas hobs, dish drawers, microwave and there’s plenty of bench space. Sink in to a comfy leather chair for a good holiday read or enjoy a glass of wine in front of the open fire. A superb place to stay. Really nice character renovation, comfortable, and heaps of space for the six of us, including three kids. Loads to do in the area to keep us busy. 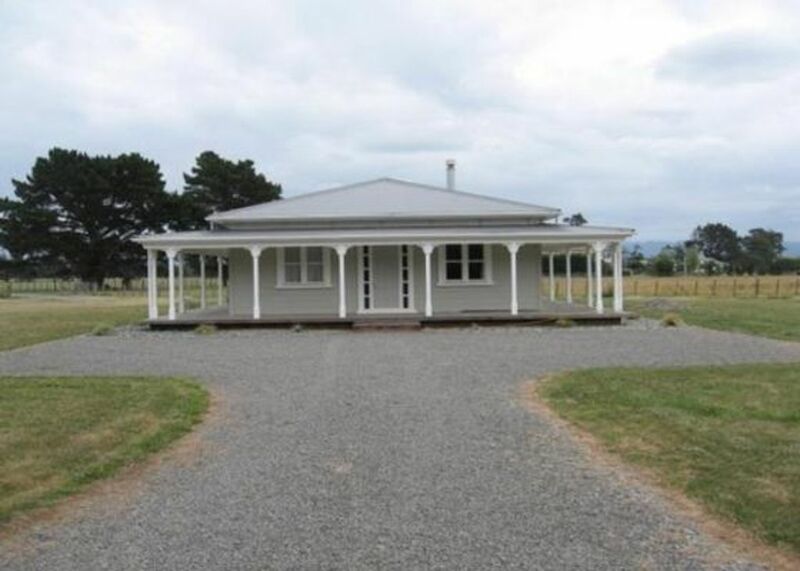 A stunning rural property, located within walking distance of Martinborough. Spacious and well maintained, would definitely recommend. Lovely House to stay in! We booked this house for a girls weekend away and it was great, really spacious and lovely, can't fault it. Everything was immaculately clean. Heaps of space and check in was easy. Very close to Martinborough, you could walk if you liked walking but could easily cycle or drive. Beautiful surrounds with sheep, cattle and karearea circling above the creek. Thanks for having us! This property was just lovely. So much communal space both indoor and out, we will be re-booking to stay again in summer! Amazing house, fantastic spot - loved our stay and would highly recommend or stay again.